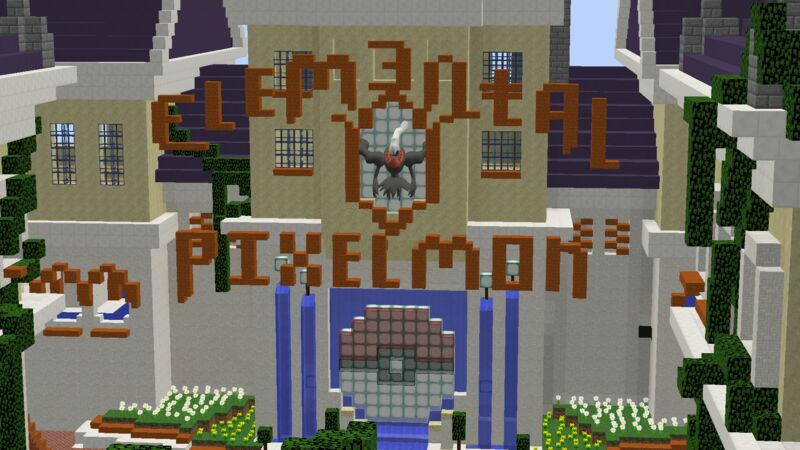 Welcome to the long waited Pixelmon extention to the Elem3ntal Re4lmz family. Featuring custom Token plugins to help modify your Pokémon, custom GTS with item support added, and a custom Poke Hunt plugin to add more fun to waiting for your Ranch block to be ready. Friendly staff is always willing to help, and weekly Tourneys to look forward to! We have a active Discord server, and are very community based. We keep up with the updates for Pixelmon Generations so check the website often for any changes! http://www.elem3ntalre4lmz.com/!